Fig. 3. 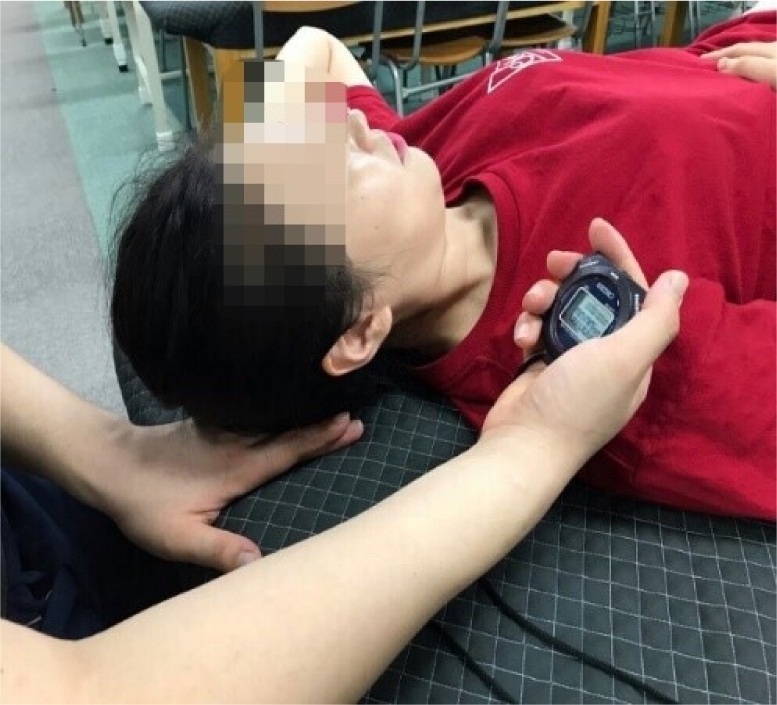 Deep neck flexor muscle endurance hold time measurement.